To take New Orleans looked deceptively easy, in reality, it was not. New Orleans was surrounded by swampy morass with narrow roads leading to it, which could be defended easily, if the defenders had enough warning. The key to taking New Orleans was to move fast and to attack from different directions to keep the defenders guessing. To move soldiers into position required a grueling 40 mile row from the British disembarkation point. Steamed powered warships were not to come into use till the 1840's, so the British couldn't steam up the Mississippi River as the Union navy would in 1862. To sail up the twisting Mississippi would have been dangerous, with becalming winds and sandbars . The mouth of the river is generally less than 14 feet deep, too shallow for the powerful British ships of the line. The British did try this starting the day Jan. 8th battle, but were repulsed by the forts on the river. 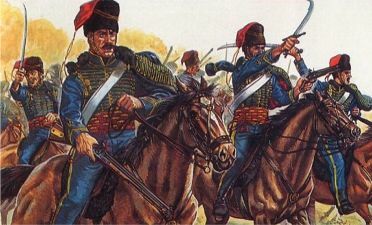 over time and during the 18th century, dragoons evolved into conventional cavalry units . The name is derived from a type of firearm (called a dragon) carried by dragoons of the French Army . 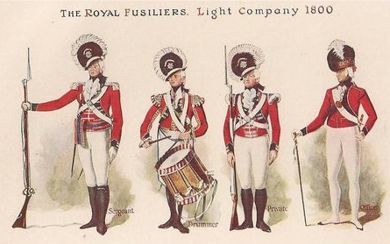 The British, after defeating Napoleon in 1814, were able to send much more men and material to the American theater. The British Commander of the North American station, Vice Admiral Sir Alexander Inglis Cochrane ( 1758 - 1832 ), a proud, stern, domineering Scot, planned to finish his operations in the Chesapeake where Washington had been burned in 1814 and turn the British attention to the Gulf coast, capture New Orleans and the Mississippi Valley, the grand strategy devised by Lord Castlereagh. 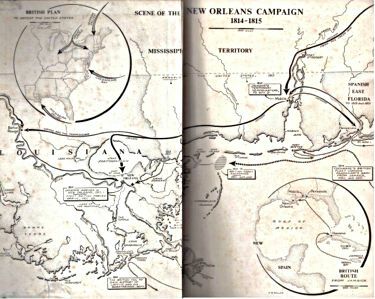 The plan was to capture Mobile, march along the coast to Baton rouge, and from there seize New Orleans, then march up the Mississippi Valley. Cochrane's superiors, the Lords Commissioner of the Admiralty, approved of the plan. ( 1781 - 1844 ) from the Chesapeake rendezvoused with a force of British veterans from Europe in Negril Bay, Jamaica. 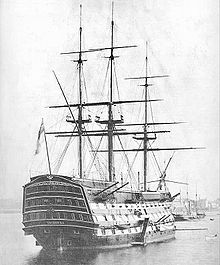 This impressive fleet of over 60 ships, one of the largest amassed since the Spanish Armada made up of triple decked, 80 gun ships of the line, such as Cochrane's flagship the HMS Tonnant (captured from the French, Francis Scott Key wrote the American national anthem on her decks during the bombardment of Baltimore ), armed troops transports, frigates and sloops of war. Here Cochrane awaited the squadron of Captain Robert Lloyd with HMS Plantagenent and two other ships, which were delayed at the Battle of Fayal ( Sept 26-27, 1814 ) in the Azores fighting American Clipper General Armstrong for about two weeks and delayed the British fleet longer in Negril Bay, giving Jackson time to reach New Orleans . 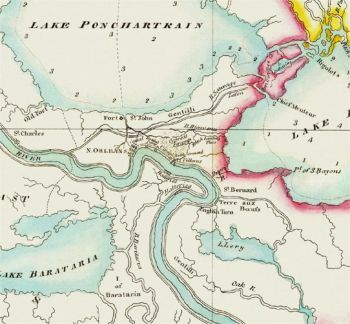 Cochrane departed November 26, before Pakenham and the remainder of the British forces had arrived to try to arrive in New Orleans before Jackson . Cochrane's planned for Gen. Robert Ross, who had taken Washington, to command the land forces, but his death at the hands of a sniper in Baltimore required him to replace Ross with Lt. Gen. Sir Edward Pakenham ( 1778 - 1814 ) , brother of the wife of the Duke of Wellington. At the age of 37 he was considered one of the best officers in the army. 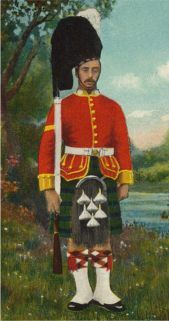 In August 1814, Cochrane sent Lt. 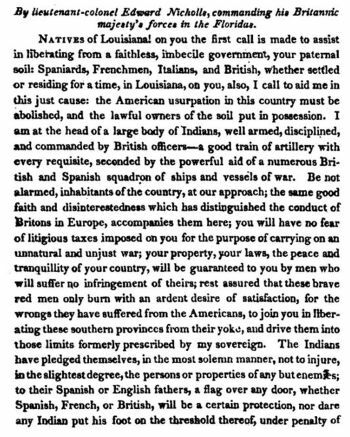 Colonel Edward Nicholls , Known as "Fighting Nicholls"( 1779 - 1865 ) to Pensacola in Spanish held Florida an established a base with 2 ships and 100 troops and issued proclamations that all slaves who joined him would be free and Indians would regain their lands . He was also to attempt to recruit the Seminoles as allies against the United States. This was a clear violation of Spanish neutrality. The Seminoles would go to war with the United States from on an off from 1816 to 1858 in the Seminole Wars . However, the Spanish expected an American invasion at any time and armed the Red Sticks ( a faction of the Creek Indians ) and other Indians against the U.S. The British tried, yet failed to take Mobile in Sept.
Cochrane felt the fort defended Mobile was weak and sent a small force of 225 marines and Indians and naval squadron. One of the ships, the Hermes ran aground and the attack was called off. This was a costly defeat, since the land route from Mobile was the best invasion route. Jackson invaded Florida with a force of 4,000 regulars and Indian allies and reached Pensacola, which was defended by only about 500 men. Jackson attacked the town on Nov 7th and quickly seized the Spanish forts defending the city, forcing the British to sail away . This seriously disrupted the British plans for the Gulf and forced the British to target New Orleans directly, putting the British at a distinct disadvantage. By attacking overland and attacking New Orleans from the north with a British fleet off the coast it could be cut off from supplies. Now a frontal attack through swampy south Louisiana would be needed. Jackson departed Pensacola and returned to Mobile on November 19 and departed for New Orleans on November 22. 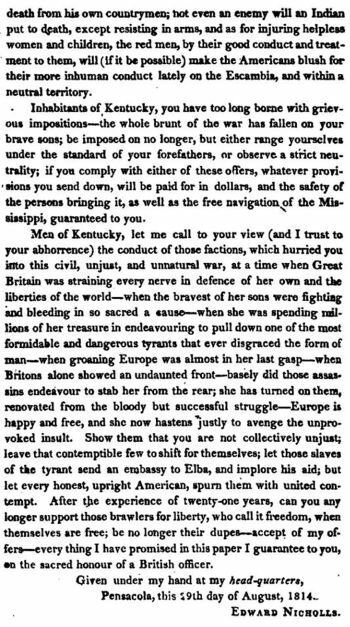 British Captain Lockyer arrived off Grand Terre ( an island nest to Grand Isle ), the privateer base of Jean Lafitte in August, and delivered a letter from Colonel Nicholls which offered $30,000 and other inducements for permission to Barataria as a point of invasion and to use the Baratarians as guides to attack the city. Lafitte met the British officers himself and had a cordial dinner with them on his base and left them with the impression had agreed and needed two weeks to set his affairs in order. He decided to double cross the British and inform the Americans, which the British discovered when they returned two weeks later. Another avenue of invasion was out for the British. Admiral Cochrane sailed from Negril Bay with an armada of 50 ships, the mood lighthearted and merry. Many of the officers had brought their wives along. A complete civil governmental staff, with printing presses, were with them as well, to rule over 'the Crown Colony of Louisiana.' 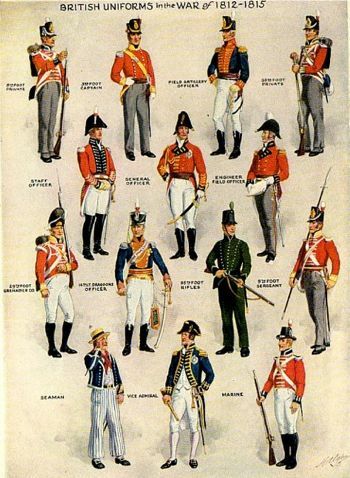 The British troops were composed of veterans from the war with Napoleon and the invasion of Washington and considered the best in the world. The American commander, Andrew Jackson had used up almost all of his ammunition and most of his flints in the Creek War (1813-14), which was effectively ended at the Battle of Horseshoe Bend on March 27, 1814 in central Alabama. The Baratarians under Jean Lafitte supplied the powder,flints,cannon balls and ship canister. seen to the right of New Orleans . Click map for a larger image . Cochrane arrived at the Chandeleur Islands on December 8. He had proposed to attack New Orleans through Lake Pontchartrain and landing at Bayou St. John, just North of New Orleans, but the needed shallow draft ships he ordered for this operation did not arrive . The shallow pass to the lake, the Rigolets, required such boats. He and his officers then decided to land his forces on Bayou Bienvenu on the western end of Lake Borgne. From here it was hoped the troops could advance before a defense could be mounted. The armada then anchored near Cat Island near the mouth of Lake Borgue, about 70 miles from New Orleans. This was as close as the heavy ships and transports could go. The troops would have to be ferried from Cat Island to Pea Island at the mouth of the Pearl River just east of the Rigolets, a distance of 30 miles. 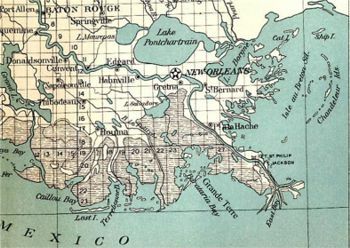 From Pea Island the troops would have to be rowed another 30 miles to bayou bienvenue. The Americans had 5 gunboats in the lake, which would have to be destroyed before the troops could be landed. These were defeated in a battle on Dec 14. This was a disaster for Jackson. Now he had no way of knowing where the British would land. The British, expected to sweep aside the meager American force, seize the 'Beauty and Booty' of the rich trading port of New Orleans and with the Mississippi in their hands, separate the western states from the rest of the Union . The British expected the French and Spanish settlers and the large slave population of the sugar cane and cotton plantations, which the planned to free, would aid them in their conquest. 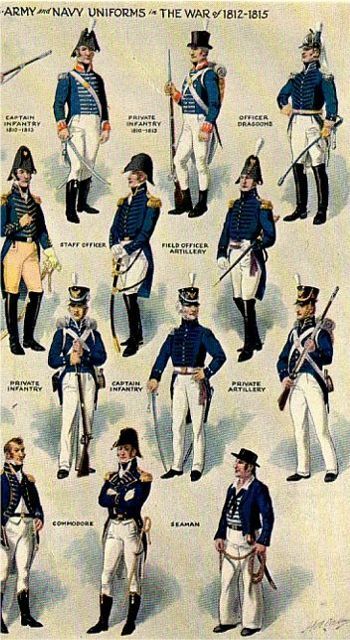 Including artillerists, marines, and others, seamen of the ships' crews afloat, there were not fewer than eighteen thousand men, veterans in the service of their country in the lines of their respective callings, to complete the equipment of this powerful armada. To fight this force, Jackson would have a mixed force of regular soldiers, militia, Indians, Free Men of Color and Lafittes privateers numbering about 4,000.